Composers Ram Sampath and Varun Grover have come up with an unconventional score that matches the filmmaker Anurag Kashyap's unorthodox reputation, writes Aelina Kapoor. 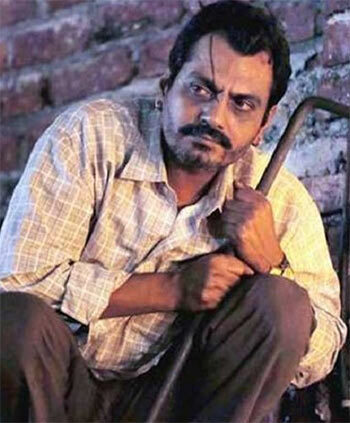 One year after Bombay Velvet, director Anurag Kashyap is back with Raman Raghav 2.0. Kashyap has always experimented with his soundtracks and attempted to make them suitable for his film's setting. However, except for Dev D, he hasn't really been able to deliver a commercial score. This time around, considering he is dealing with the subject of a serial killer, one doesn't expect the trend to change. Music director Ram Sampath and lyricist Varun Grover are at the helm of affairs. Sona Mohapatra, a regular with Sampath, gets the first and the last song of the album, Qatl-e-aam. While the first is a trance fusion outing, the latter is an 'unplugged' version. A song of seduction with Yash Divecha chipping in, it has an intoxicating sound that catches your attention. Sona's unique vocals are an asset to this soft number, which would have done just well had there been no techno instruments coming hard in it. If ever there is a song to describe a dark criminal, it has to be Behuda. Right from terming an individual as 'bad blood' to an 'infested soul' to 'disgusting' and a lot more, there’s a good amount of name calling by Grover to aptly detail the character of Nawazuddin Siddiqui, a serial killer. Sung by Nayantara Bhatkal, this haunting number has additional vocals by Ram Sampath, Vivienne Pocha and Nalini Krishnan who provide good support. Things turn quieter with Siddharth Basrur taking centre stage for Paani ka raasta. A song with a poetic touch, this one too has dark undertones as it follows the soft rock approach. Strictly situational, the song -- which also has Ram Sampath chipping in -- doesn't have much recall value and disappears from your mind soon after you have heard it. The album concludes with the Raghav Theme, which is a trance outing. Clearly, Kashyap's brief to Sampath would have been to come up with a trippy piece that explores the deepest point of Raghav's mindset, as it attempts to bring out the psychological aspect of what goes in there. Expect this one to accompany some racy moments in the film. As expected, Ram Sampath and Varun Grover deliver what the doctor (read Anurag Kashyap) ordered. They’ve come up with an unconventional score that matches the filmmaker's unorthodox reputation.